What kind of canvas does Takeyari manufacture? Kurashiki City in Okayama Prefecture is a major production area for canvas, and the area occupies 70% of the entire domestic canvas production share. 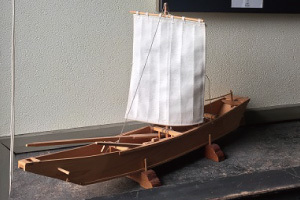 The textile and cotton spinning industries developed in the area due to the popularity of cultivating cotton here from the medieval up to the Edo period. 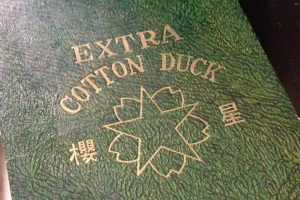 Our factory is located in a section of Kurashiki City called “Sobara,” and it is said that this name comes from the word “Hohara,” which means field where canvas was dried. Canvas is a type of fabric made by twisting together threads of cotton and hemp, which is then woven in a plain weave. As canvas weaves are very tight, the fabric is durable and water-resistant while still retaining excellent breathability. 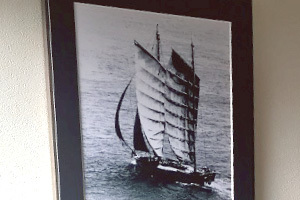 Due to these qualities, the fabric has long been used for ship sails, horse riding gear, school bags, etc. Takeyari manufactures all grades of canvas from No. 1 to No. 11. Canvas is made from grade No. 10 cotton thread. Different thicknesses of canvas can be woven by changing the thickness of the threads through a process of twisting together multiple individual threads. For example, No. 1 canvas, the thickest type, is made by intertwining seven threads for use in the warp and eight threads in the weft. Whereas No. 11 canvas, the lightest type, is made by intertwining two threads for use in the warp and using only a single threads in the weft. However, this is a textile that takes efficiency into great consideration as all types of canvas are made using only grade No. 10 thread. Takeyari canvas is woven based on old JIS standards. Slowly weaving the fabric over a long period of time using picanol shuttle looms made in Belgium, few of which are still in existence, results in fine-textured canvas. In particular, No. 1~3 canvas possess a thickness that would be difficult to achieve elsewhere. The canvas is tougher and firmer than regular canvas as it created by densely weaving together thick strands. 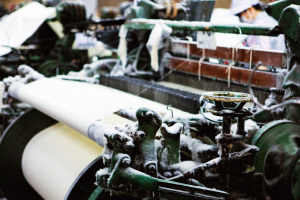 From formation to weaving and all the way to inspection, the spinning is carried out by craftsmen at our factory. Real people are involved in every step of the process, and this results in high-quality canvas with a sense of warmth. This is why people continue to consider the word canvas as synonymous with Takeyari. 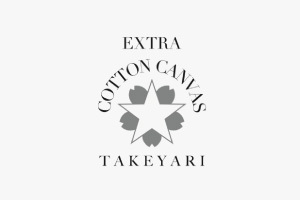 In order to show the quality of our canvas, we at Takeyari have re-released the SAKURABOSHI logo, which was used long ago. Finished canvas was imprinted with the logo to certify that the fabric was woven at Takeyari, and was thus Takeyari canvas. We allow Takeyari’s standard canvas, originally manufactured fabric and OEM products to be imprinted with the logo.